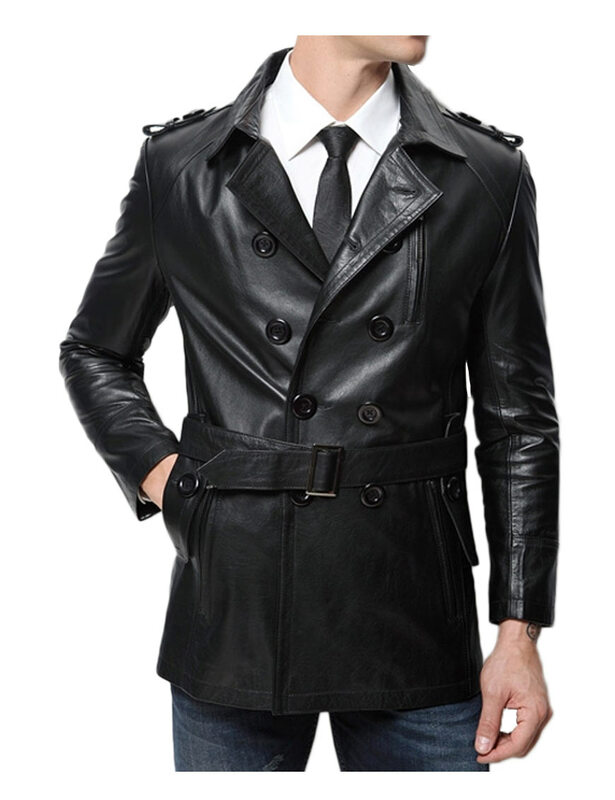 Mid length leather coat is look like styled and fashioned type for men workmanship. This belted leather coat mostly wears in snowy seasons but it can wear in winter’s seasons too. 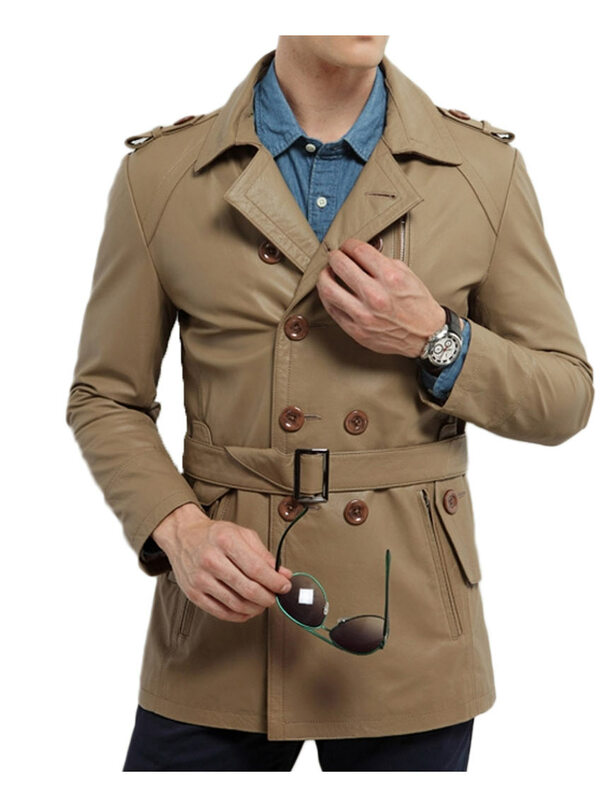 Double breasted style jacket looks like detective style for men too wears in all seasons. 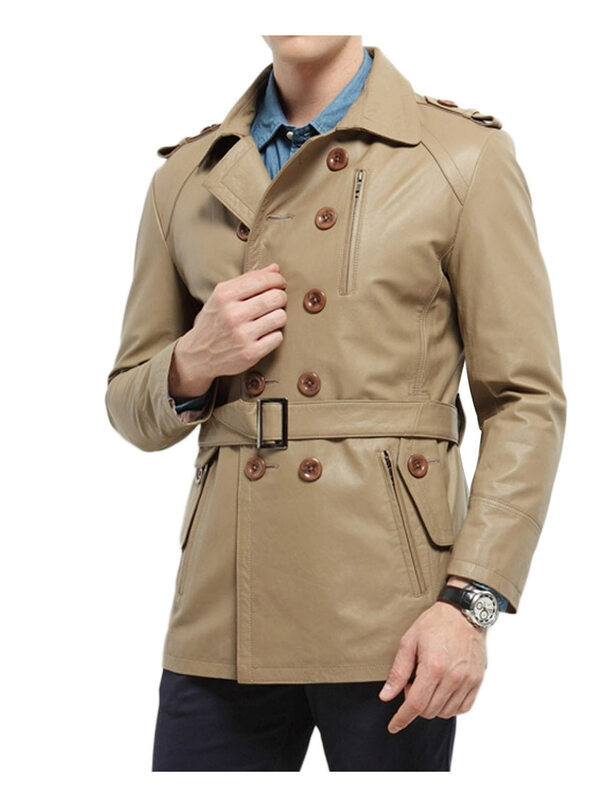 But this jacket been ever wears in established style for descent type of men. This jacket is now available in our online stock with different quantities. This type of color is material of genuine lambskin / faux leather with inner polyester viscose lining in different colors like black and light brown. The epaulets designed of shoulders have straps style with in full sleeves of open hem cuffs. 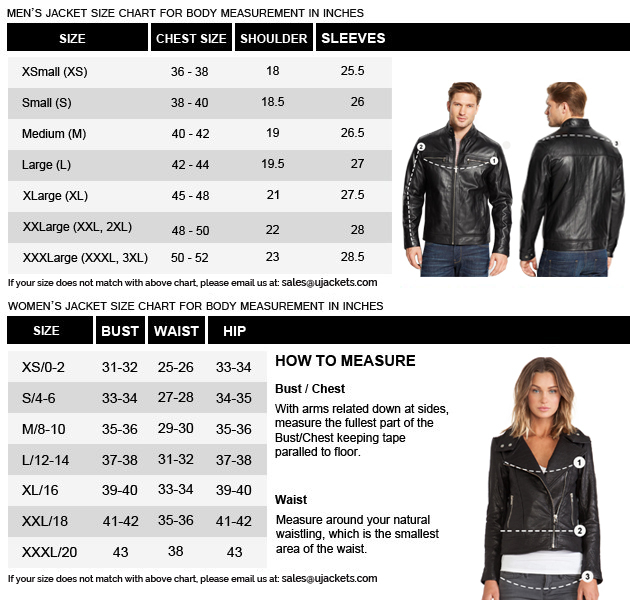 The lower notch collar embossed above the jacket with broad back style. The breast pockets embossed on left side of below the chest with front double buttoned closure as style of YKK zipper slash pockets. The adjusted buckle belt given for tide and loose for waist with design of slip on backward.